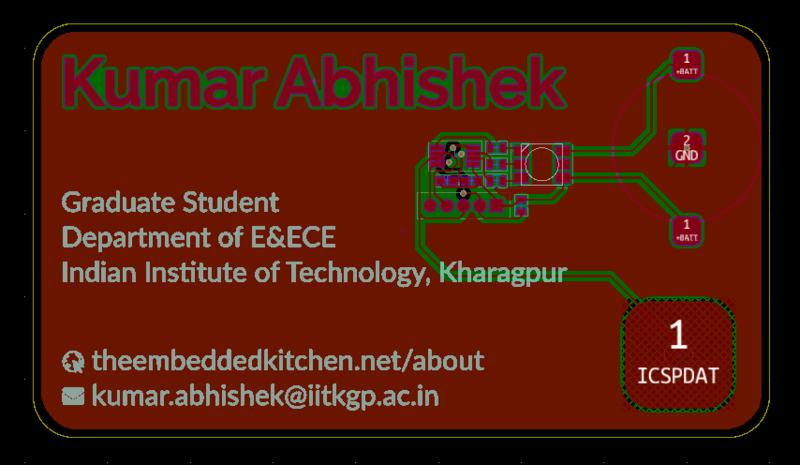 The Embedded Kitchen – Circuits. Freshly Baked. Today, I’m delighted to announce something that I’ve been working on the past four months, which is now alive and doing exactly what it was meant for. 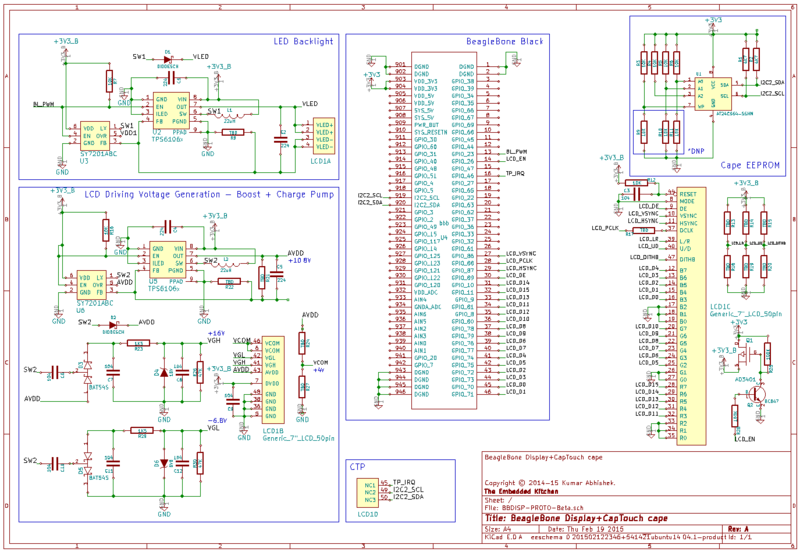 A Standalone, turnkey logic analyzer based on the work I did for BeagleLogic. And is aptly titled – BeagleLogic Standalone. Describing it as an equation, (BeagleLogic Standalone) > (BeagleBone) + (BeagleLogic). 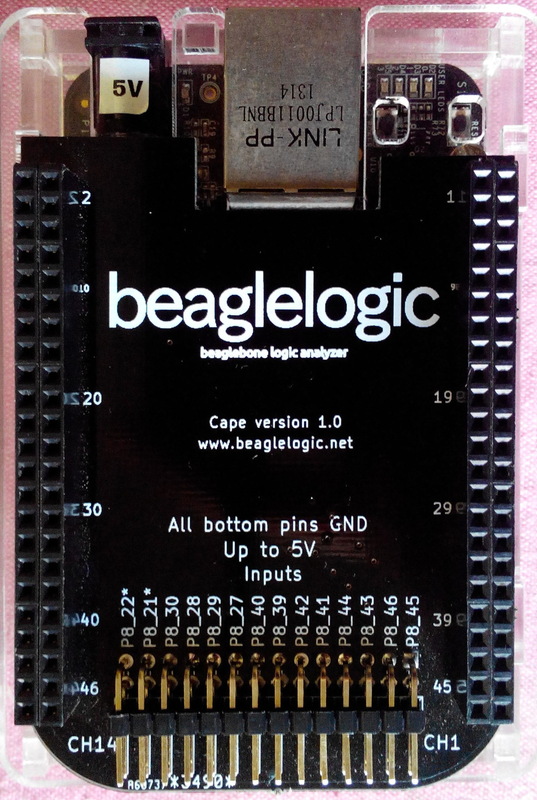 The greater than comes from the fact that the BeagleBone + BeagleLogic has up to 14 logic inputs, BeagleLogic Standalone has 16. It has 1000Mbps Ethernet, while the BeagleBone has just 100Mbps. If you are interested in purchasing one of these boards, please fill up this form, and I’ll keep you informed. The rest of this post is dedicated to describing the story behind the creation of BeagleLogic Standalone. The events described in this article take place in July, when I spent some of the best days of my life so far as a summer intern based at Mountain View, CA. “My card would have a small multi-colored LED that would glow whenever someone would hold it in their hands. It would contain my contact information as a QR code and on the back would be whitespace where I can leave someone a handwritten note”. Which color would it be? The soldermask colors of choice were – OSHPark purple, blue, black and white. Had recently seen a board with a matte black soldermask and liked the feel of it so I was interested in trying it out too. The card designs I had seen placed all the text on the silkscreen, but maybe putting some part of the text as exposed copper would add more contrast? The effect would look more dramatic when the board gets gold plated (ENIG) vs the usual solder finish (HASL), also the boards would cost more as a result. 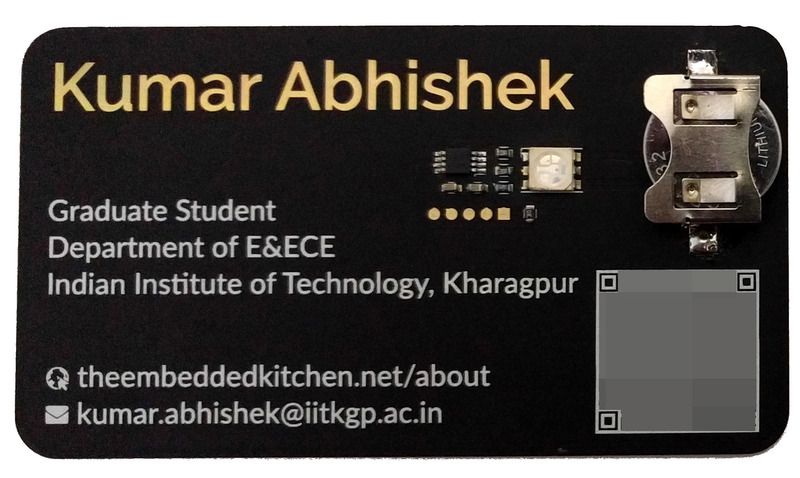 Business card size is 3.5″x2″ ( 89x51mm ). Mine’s 89x50mm to fit a 10cmx5cm bounding box for standard fabrication size. The QR code is in vCard format, so scanning it reveals my contact details which can be straightaway saved on your phone. Also it was at this point that the fonts and font sizes were frozen. Once it looked good to me, I exported different sections of the file in PNG format, which I would later convert to footprint using KiCAD’s handy utility and position in the board layout as any other component. For choosing the right microcontroller, there were four requirements – low power, 3 PWM channels, touch sensing and low price. Wanted to use the AVRs initially for ease of use, familiarity (the Arduino framework) but they were roughly around a dollar or more on DigiKey/Mouser. The PICs seemed to fit the bill though in just about half a dollar – selected the PIC12LF1572 microcontroller – that sounded good enough. 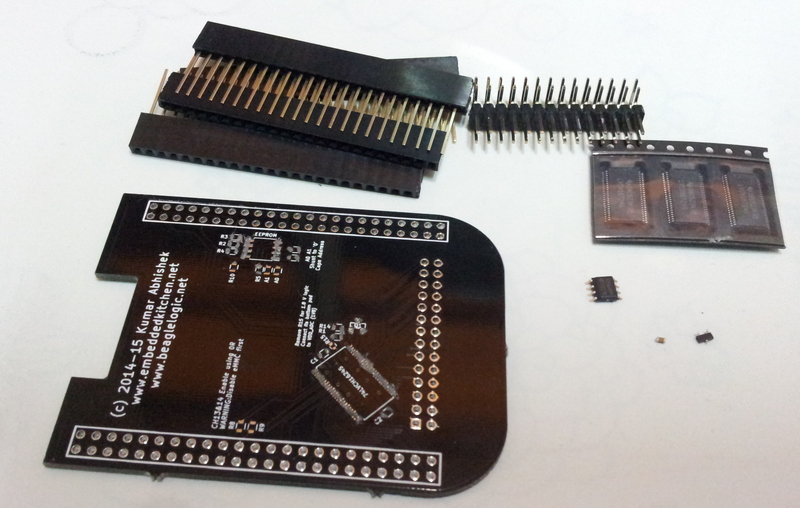 Also, my first time using a PIC microcontroller – a new platform to learn! The battery? CR2032s are pretty standard, and also have the highest possible mAh. The next smaller one with a comparable mAh was the CR1632. I decided to go with the CR1632, though next time I might consider a CR1220. I needed a PIC programmer, found a project on Hackaday.io which meant I could repurpose one of my Arduino boards to do the programming – this project actually gave me faith that I could somehow program the PICs while still being on a tight deadline (thanks to hackaday.io user jaromir.sukuba for maintaining this!) and I decided to give it a shot. Submitted a Mouser order for all the parts and it all arrived in 3-4 days. The BOM cost was ~$60 for enough to build 40 of these. As this was a relatively low complexity design, it was completed in a few hours on an extended night shift. I used Elecrow for this order – they offered matte black soldermask option without a custom quote. I had used them once before and have been satisfied with the quality. One more good thing about them is that they don’t add production codes on the silkscreen of your boards [which can be so annoying on a board design like this] and also send you a picture of the finished board before they dispatch your order [which makes you even more excited to receive the boards once you’ve seen them made as you wanted them to be]. The quality was excellent. 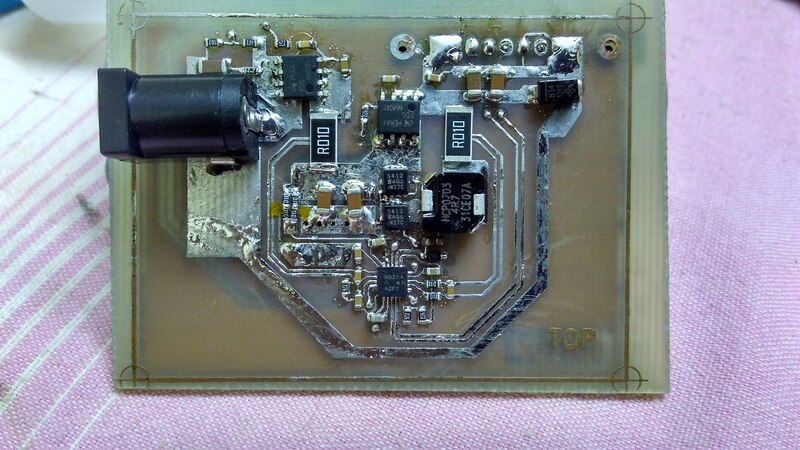 From silkscreen to plating and all the vias were properly covered. I had selected DHL Shenzhen as the shipping method which is supposed to be faster than DHL Hong Kong, the price difference being roughly $5. For a total of 40 boards with matte black soldermask and ENIG finish, paid $100 total. Order was submitted on a Wednesday and the boards were delivered next Wednesday. The boards looked beautiful, just as I had designed them to be 🙂 . There aren’t a lot of components here, this should have been pretty standard stuff but I had lead-free solder paste and that was a big pain to work with a toothpick, without a stencil. I should have probably ordered one along with my boards. And the last week internship rush meant that I couldn’t have enough time – had to choose between doing the firmware or building all 40 on a night stretch – I got a few assembled and that was it. This was the the first time I was using a PIC microcontroller. Moving to a new microcontroller has its own surprises – it took me an hour to realize that the PWM generator won’t update its duty cycle automatically on changing contents in the duty cycle register and a bit has to be set in another register. The MPLAB IDE was mostly okay-ish, although I’d try and see if I can get it working with the SDCC compiler for future firmware revisions. The MPLAB code configurator provided an easy way to implement the touch sensing functionality here as it had an mTouch library implementation and I was able to get it working just in time. [jaromir]’s PIC programming software worked well and I was able to quickly iterate and build v0.1 . The chip being a LF series has pretty low standby current but there wasn’t enough time to bake that functionality in. I chose to run the MCU at a lower clock frequency instead (500kHz) to get active currents of the order of 0.3mA. Battery life is two weeks after which the LED dims out. Here’s a close-up of the finished result. The 5 pins are for programming. 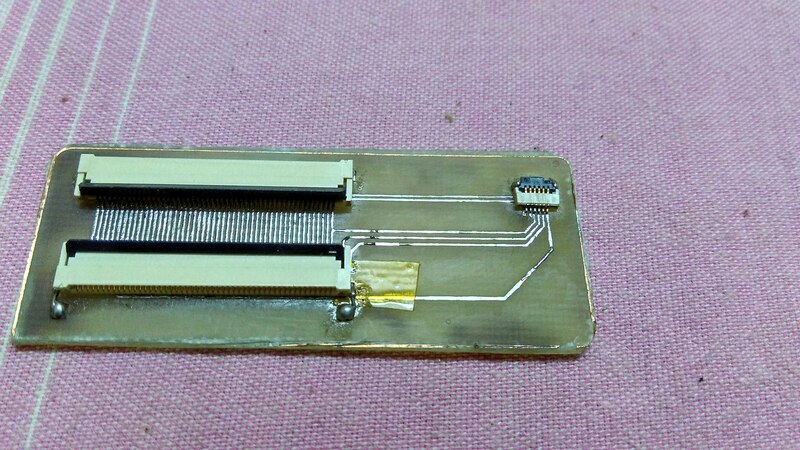 A 2mm berg strip is manually held to the headers to program. I was very satisfied with the finished result. Matte black with a gold finish looks beautiful and to me, was worth it. Also there was excellent service from Elecrow which I would whole-heartedly recommend based on my experience with them. [jaromir]’s PIC programmer allowed me to use one of my Arduino boards to program the PICs, it helped me a lot during this project. Thanks a lot! With a working v0.1, I was able to build a few and give away. I’ve given away some blank boards too, they look pretty in their own right. Make the boards 0.8mm thick. Or even 0.6mm. Add a little more clearance between the touch sensor pad and the ground plane all around it. It probably decreases the touch sensitivity a bit. Use a slot in the board and add a split battery holder leading to a lower Z-height. Make a pogo pin set and a 3D printed jig to hold the programming header in place. It’s awkward to hold and press the headers everytime something needs to be flashed. I’m not posting the board design files yet. However I might post the firmware after adding more effects. That’s all for this one. If we ever meet in person, ask me to show you and I might even give you one of these. An Embedded Kitchen wouldn’t have been complete without the ability to fabricate circuit boards for rapidly prototyping circuits without waiting on the board house [fail fast, fail often applied to hardware design]. 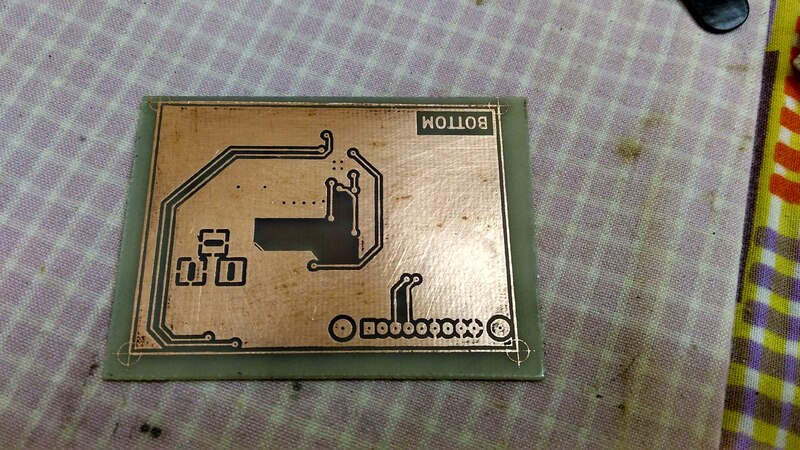 This week, it gained the capability to fabricate boards using the well-known toner transfer method. I had done toner transfer first when I was at school, the results had been terrible. So terrible that I turned to wire-wrap prototyping for my circuits, even when I started using SMD components later. 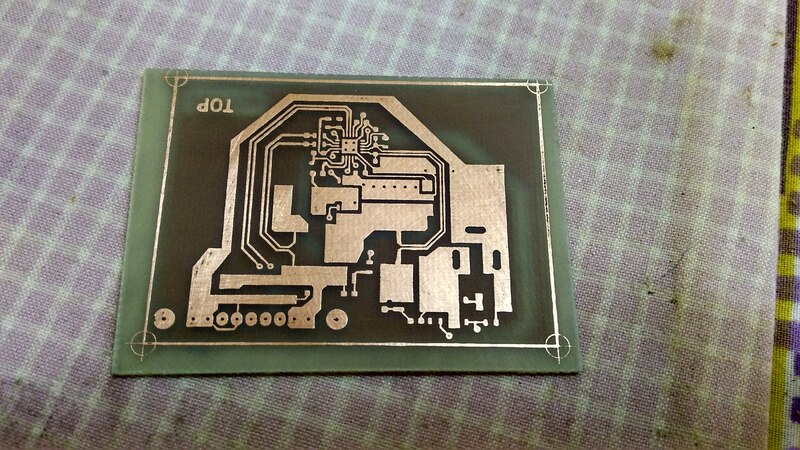 However the realization that dead-bugging SMD parts is too much effort which doesn’t scale brought me back to PCBs. This time because I couldn’t wait for two weeks to get my boards manufactured so I decided to take on toner transfer again. I knew the steps. Clean the board, print the design, iron it on. After the ironing when I rinsed the board under cold water, I was pleasantly surprised to see near-perfect pattern transfer from paper to board. Then I went on to etch them with ferric chloride. 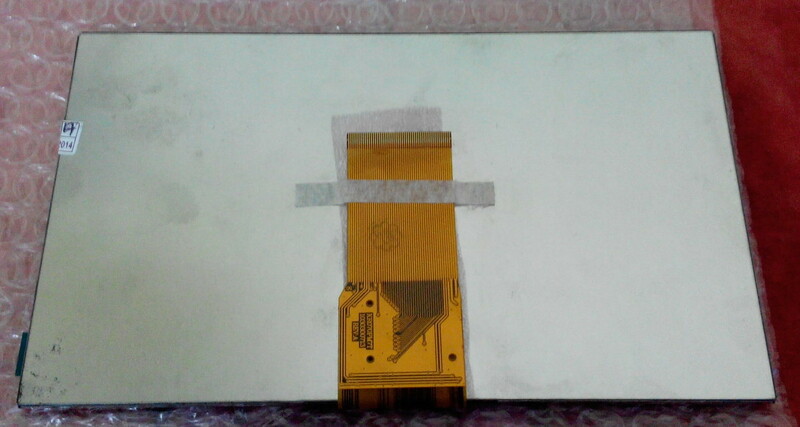 After this was done, I threw in an additional step of tinning the whole board to protect it from tarnishing and also patch-up any imperfections in traces. Then placing components and reflowing the boards are usual. Here are the results. They’re not as pretty as the ones got from the board house, but they’re beautiful in their own way. They’re cheaper in terms of money but more expensive in terms of extra effort (drilling and hole plating). And I don’t need to have 5 or 10 copies of tea coasters if I used a wrong footprint or inverted it. But in the end, it’s all worth it when you can get from an idea to prototype in days and not weeks. At demonstrations whenever I am asked a question about how BeagleLogic works, it takes time to be able to explain how a low cost SBC can actually sample at digital signals at 100 MHz, what makes the BeagleBone Black so special, why can’t this be done with something like a Pi without adding any extra hardware. This blog post is an attempt to start from (almost) scratch and explain the nuts and bolts of the BeagleLogic assembly and document the design decisions made last year as a reference for future application scenarios. This should be the first in a series of posts. The PRUs, or the “Programming Real-Time Units” on the AM3358 SoC on the BeagleBone Black are two 200 MHz microcontrollers that run side-by-side the 1 GHz ARM CPU. They can be started, stopped, reset, programmed via the CPU and also share the same bus so the PRUs can independent of the CPU access the core peripherals like GPIO, memory, ADC, DMA, … and also have a GPI/GPO subsystem of their own (“Enhanced GPIO subsytem”). These PRUs can be programmed in C using the TI PRU C Compiler (recommended) or PASM (now considered obsolete but still works) or a GCC Compiler port (in progress) and of course, hand tuned assembly code one can write for the PRU as well. … is a register that samples the input signal(s) at regular intervals (decided by the sample rate in case of a free running sampler) or at the edge of an external clock signal. These samples are then recorded into the sample buffer which can be then used to extract and analyze the captured digital signal. Note that this is the simplest case, in real life scenarios there are often trigger conditions like ‘Hey, start recording when there is, say, “a falling edge on pin B when pin A is high”, or “after 5 rising edges on pin C when pin D is high and pin E is low”‘ and so on. The core of BeagleLogic is the simplest possible implementation. It simply samples and records the inputs into a buffer at a sample rate that can be configured in integer divisions of 100 MHz i.e. 100 MHz (100 / 1), 50 MHz (100 / 2), 33.33 MHz (100 / 3) and so on. Now let us look at the building blocks available in the PRUs of the BeagleBone Black that enable us to achieve this. A quick primer on the 3 most important instructions for data transfer in PRU assembly. For a detailed overview refer to the PRU instruction set manual. Moves n bytes from the src register into (*destination)+offset, this is indirect addressing. If n > 4, then the subsequent registers are accessed as well. Offset can be a register or an immediate value. When using SBCO to write to the DDR memory, note that we must provide only physical memory addresses as there is no MMU involved when PRU accesses it. This is what most examples of the PRU that demonstrate shared memory access do. LBCO loads data from an external address into a destination register. If n > 4, data gets loaded into the subsequent registers as well. I’ve used the Cortex M3/4 microcontrollers and these cores have this nice register called DWT_CYCCNT which provides number of clock cycles the processor has executed code. So one can take the difference of DWT_CYCCNT register before and after a code block and get the number of cycles this code takes to execute. This allows cycle-accurate code profiling. Notice that we first modify the CTPPR_0 register which allows us to use the C28 register to refer to the PRU control registers instead of using up another register to hold the PRUCFG register address. Now we can examine the contents of R1 and R2 to determine how many cycles it takes. You would also have to account for the “extra” clock cycles of the LBCO instruction. every MOV operation is one cycle. In fact, any operation that does not access external memory or peripherals completes in a single cycle i.e. 5ns. This is by design. LBCO and SBCO instructions with byte count 4 take 2 cycles. The way I hypothesize is that 1 cycle is spent to generate the address by adding the offset to it and then the actual data transfer operation takes 1 cycle per 32 bits transferred, thus O(n) time. Therefore the SBCO example in the previous section should take 9 cycles to complete (1+32/4), assuming there is no bus stall while writing the data to the memory. We will use this information to help us with the timings needed for sampling. The PRU has an enhanced GPIO that operates at 200 MHz2 and it implements a “Direct Input” GPI mode. What it means that whatever be the pin value at the PRU inputs at the sampling instant will be captured whenever register R31 of the PRU is read. So, to sample first 8 bits of R31 into the register file, we can use the following PRU assembly code: (edited for more clarity, referring issue #9 on GitHub) The first line of the snippet below shows how one can sample the lowest 8 bits of R31 which is connected to the PRU input pins. The entire snippet shows how to make 5 samples of the input pins and store them into successive registers. We can and pack up to 4 samples into a single 32-bit register using the PRU assembly instruction (Rn.bx refers to the x’th byte in the register – each register is 4 bytes). You might ask, why sample to the registers, and why not store this data in the 8 KB SRAM, or the 12 KB shared RAM, or even the DDR RAM? From the previous sections, we see that every SBCO would take 2 cycles but register access is just 1 cycle, so we can achieve higher sampling rates. While accessing the DDR RAM there is a very low but finite probability of bus conflicts while data is being written, and having such an instruction within the real-time sampling loop has the potential to compromise the sampling operation. So we would like to separate both of them. Right now, we’ve only stored data in the registers, and there isn’t enough space to store all samples in the registers. So we need to somehow get the data out of there. ​I remember initially reading this section in the PRU reference manual with skepticism and was disappointed to find scarce resources and/or example applications in the early phase of my GSoC period. But this turned out to be one of the important links in the puzzle. ​Apart from the 30 registers in the two PRUs (R30 and R31 are connected to the GPO / GPI respectively), there’s also 30×3 independent register banks available as a scratchpad; and this is connected to the registers on both the PRUs using a “broadside interface”. Broadside means that all 30 registers are connected, and all of them can be moved in parallel. This means that in a single clock cycle one can copy or swap all 30 registers of a PRU with one of these 3 banks. We can cleanly separate pin sampling (handled by PRU1) and data transfer (handled by PRU0). Since pin sampling operates only on registers, it is effectively shielded from bus latencies. Because register manipulation is cycle accurate we can design delay loops in PRU1 to give us a programmable sample rate, independent of PRU0 operation. The final piece in the puzzle for a basic implementation is to have a way so that PRU1 can signal PRU0 that it has pushed data into Bank0 using XOUT, and that it can take data in using XIN and write it to the DDR memory.​ Interrupts. By configuring the mapping appropriately in the PRU interrupt controller (PINTC) one can send a signal to the other PRU by writing a value into the R31 register which triggers an interrupt (note we generally read from R31, not write). Similarly by waiting on bit 30 of R30 to be set, one can know from the other PRU when an interrupt has occurred. The interrupt configuration and mapping is in general handled by the library (libprussdrv) or the pru_remoteproc kernel driver, we just assume within the PRU that everything is already configured for us and is working. Let us try writing a sketch of a very simple firmware which implements a basic form of a 8-bit logic analyzer. This should be helpful when developing for a similar application scenario​ and understanding the behind-the-hood working of BeagleLogic. Observe how writing an infinite loop this way allows us to sample 4 bytes, move it into Bank0 and signal the PRU0 that data is ready. Also, the time gap between two samples is 2 clock cycles, so this infinite loop samples the pins at 100 MHz. See? How could one sample at, say, 50 MHz? Now observing how BeagleLogic does it – PRU1 Sampling code and PRU0 memory writing code should give an idea of the basic processes happening that make BeagleLogic possible. Of course, there is the overhead but it’s the same basic principle. 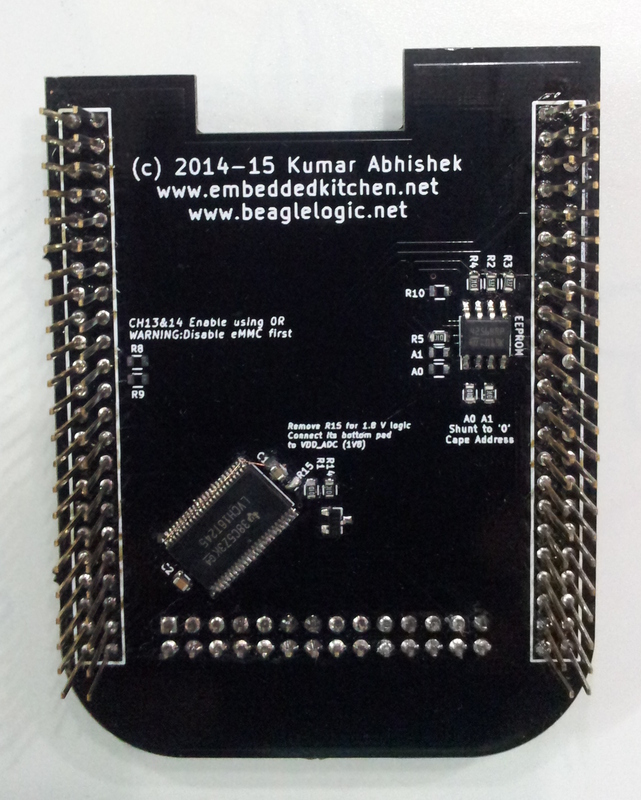 A similar post explaining the BeagleLogic kernel module is on it’s way soon. A day before Christmas, I was greeted by a yellow DHL packet from Hong Kong. The panels had finally arrived after 8 days – I had chosen rush (48hrs turnaround) and express shipping, and it did work out well as I received them before Christmas. The boards turned out to be nice. Not dirty at all and at a price which was reasonable to me. I reflowed the board with a hot air gun. Applied solder paste with a toothpick and placed the parts with the naked eye using a pair of good quality tweezers. The passives are all 0603 size (1.5mm x 0.76mm). Since I was yet to receive the batch of BSS138 FETs I ordered, I used a BC847 NPN transistor for the build instead. Reflowing left a couple of solder bridges on the 74LVCH16T245 (now onwards referred to as ‘the 245’) buffer chip (smallest pitched part on board – 0.5mm) which I removed using a solder wick. Then soldered the pin headers manually. I then probed the BeagleBone P8 header pins which serve as inputs to BeagleLogic using an LED, and did the same with the input pin headers. The LED were brighter on the inputs to the ‘245 than the P8 pins, which was contrary to expectations. 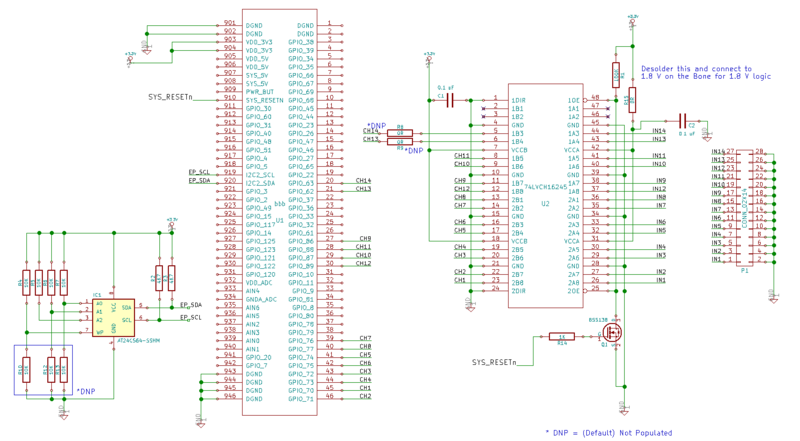 A quick check on the schematics and turns out that I wired the 245 to translate from rail B to rail A while connecting the inputs to rail A and the Bone pins to rail B. Whoops! However I quickly resolved the problem by lifting pads 1 and 24 (DIR1 and DIR2) off the PCB (which was simple as those were on the ends) and soldered a bit of magnet wire through and to one of the pads of C1 going to +3.3V. 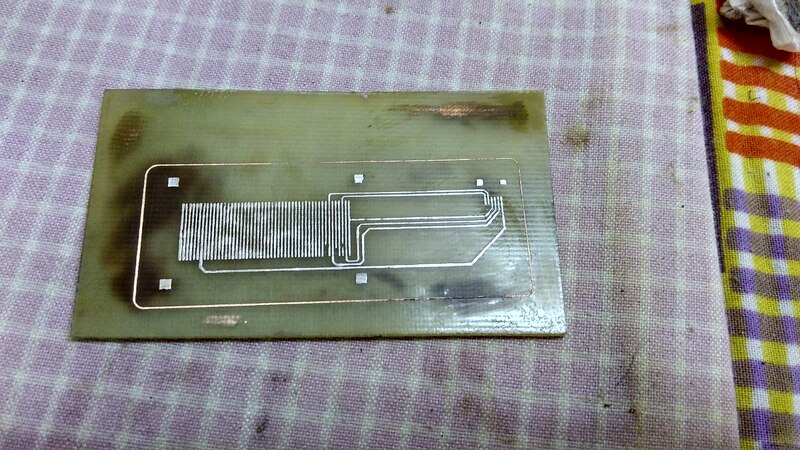 Neatly done, and a lesson not to design and send off PCBs to a fab while pulling an all-nighter 😛 . Once this was done all was back on track and the circuit worked as expected. The cape as designed did not interfere with the boot-up process due to the action of the transistor pull-down that ensured that the buffer did not drive the P8 pins until SYS_RESETn signal was high. I tested it with SPI signals upto 24 MHz using the BeagleBoard itself and results are good at a 100Msps sample rate. I could also subject the input pins to 5V freely, without fear that I would burn the board. That’s exactly what the cape is meant for, and I’m happy with the results. I am planning to give away the surplus boards from the first batch so anyone interested in testing it out can get in touch and depending upon where you are, I may be able to send you one of the surplus unpopulated boards (no parts included) which can be assembled yourself (1 IC, 4 passives, 1 transistor and pin headers). The Cape EEPROM section can be left unpopulated without affecting the functionality. The design files are now available here. I made some changes to the design after fixing the errata, so the cape version is bumped to 1.1 . Suggestions and feedback on the cape are welcome. The design is Open Hardware, so you have the freedom to use it and improve it as you like. Let me know if there’s anything that could be added in the cape as there is plenty of board real estate.